The capacitor-start motor is a modified split-phase motor. A capacitor connected in series with the starting winding creates a phase shift of approximately 80 degrees between the starting and running winding. This is substantially higher than the 45 degrees of a split-phase motor and results in a higher starting torque. Capacitor-start motors provide more than double the starting torque with one-third less starting cur rent than the split phase motor. Like the split phase motor, the capacitor start motor also has a starting mechanism, either a mechanical centrifugal switch or solid-state electronic switch. 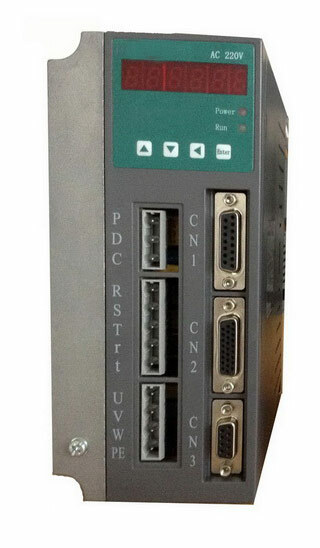 This disconnects not only the start winding, but also the capacitor when the motor reaches about 79% of rated speed. The capacitor-start motor is more expensive than a comparable split-phase design because of the additional cost of the start capacitor. However, the application range is much wider because of higher starting torque and lower starting current. The job of the capacitor is to improve the starting torque and not the power factor, as it's only in the circuit for a few seconds at the instant of starting. The capacitor can be a source of trouble if it becomes short circuited or open-circuited. A short-circuited capacitor will cause an excessive amount of current to flow through the staring winding, while an open capacitor will cause the motor to not start. Dual-speed capacitor-start motors have leads that allow external connection for low and high speeds. Ill. 48 shows the wiring diagram for a typical two speed capacitor-start motor wound with two sets of start and run windings. For low-speed 900-rpm operation, the 6-pole set of start and run windings connects to the source and for high-speed 1,200 rpm the eight-pole set is used. The permanent-capacitor motor has neither a centrifugal switch nor a capacitor strictly for starting. Instead, it has a run-type capacitor permanently connected in series with the start winding. This makes the start winding an auxiliary winding once the motor reaches running speed. Because the run capacitor must be designed for continuous use, it cannot provide the starting boost of the capacitor-start motor. Typical starting torques for permanent-capacitor motors are low, from 30 to 150% of rated load, so these motors are not suited for hard to-start applications. Permanent-capacitor motors are considered to be the most reliable of the single phase motors, mostly because no starting switch is needed. The run and auxiliary windings are identical in this type of motor, allowing for the motor to be reversed by switching the capacitor from one winding to the other. 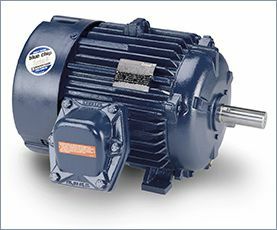 Single-phase motors run in the direction in which they are started, so whichever winding has the capacitor connected to it will control the direction. Permanent split-capacitor motors have a wide variety of applications that include fans, blowers with low starting torque needs, and intermittent cycling uses such as adjusting mechanisms, gate operators, and garage door openers, many of which also need instant reversing. 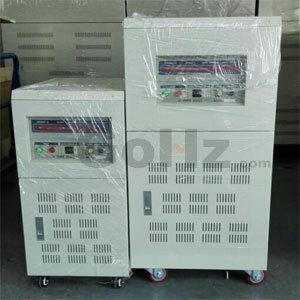 Since the capacitor is used at all times, it also provides improvement of motor power factor. The capacitor-start/capacitor-run motor , uses both start and run capacitors located in the housing connected to the top of the motor. When the motor is started the two capacitors are connected in parallel to produce a large amount of capacitance and starting torque. Once the motor is up to speed, the start switch disconnects the start capacitor from the circuit. The motor start capacitor is typically an electrolytic type, while the run capacitor is an oil-filled type. The electrolytic type offers a large amount of capacitance when compared to its oil-filled counterpart. It's important to note that these two capacitors are not interchangeable, as an electrolytic capacitor used in an AC circuit for more than a few seconds will overheat. Capacitor start/capacitor run motors operate at lower full-load currents and higher efficiency. Among other things, this means they run at lower temperature than other single-phase motor types of comparable horse power. Their main disadvantage is a higher price, which is mostly the result of more capacitors, plus a starting switch. Capacitor start/capacitor run motors are used over a wide range of single-phase applications, primarily starting hard loads that include woodworking machinery, air compressors, high-pressure water pumps, vacuum pumps and other high-torque applications. They are avail able in sizes from ½ to 25 horsepower.